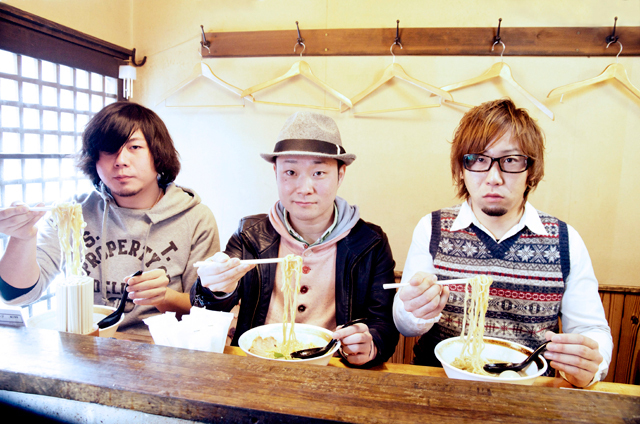 A trio rock band formed by members born in Gunma Prefecture. Formed in 2004. They possess an exceptional sense of melody, clear-yet-limber voice, and active, powerful rhythms. Their dynamic and sometimes emotional songs are filled with charm. The name “HIDEYOSHI” comes from the famous Japanese warrior from the Warring States Period and the first name of the guitarist/vocalist Hidoyoshi Kakizawa.